This entry was posted in books, knitting and tagged fiber arts, finished object friday, fo friday, knit night. Bookmark the permalink. We watch college football on Saturdays too – your team is doing much better than ours. Maisie is such a beautiful model. Are you a Virginia Tech fan? For some reason I was thinking you followed the Gamecocks. The Huskers are doing well so far, but they haven’t really been tested yet. Tomorrow we’ll learn a lot about the team, I think. Very cute doggie kerchief! Isn’t it funny how it can seem like ages that we want something, if we do want them badly enough… and the reality of it isn’t all that long? I know, silly, isn’t it? What a cute puppy! 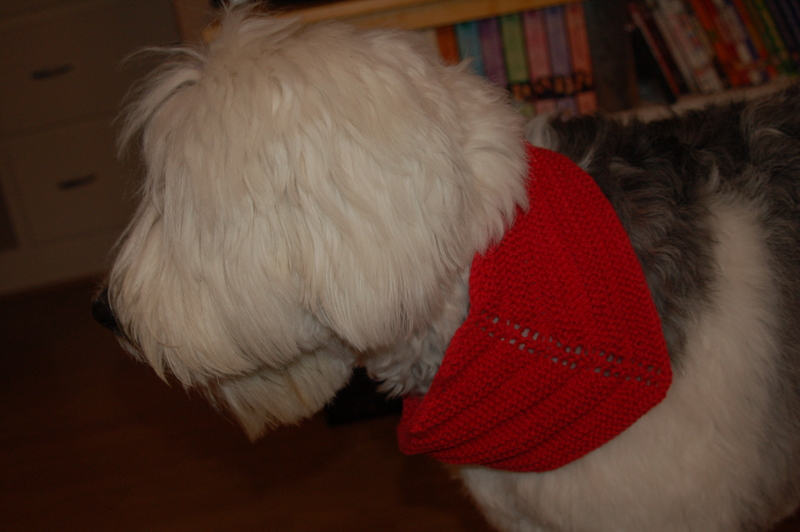 And sporting such a spiffy kerchief!! Nice work. I love Iced. I had to add it to my favorites. Thanks for sharing! I vote for you making the cardigan! It looks awesome! And thanks for the sweater input! Your dog kerchief is adorable, as is the dog who wears it. So sweet! 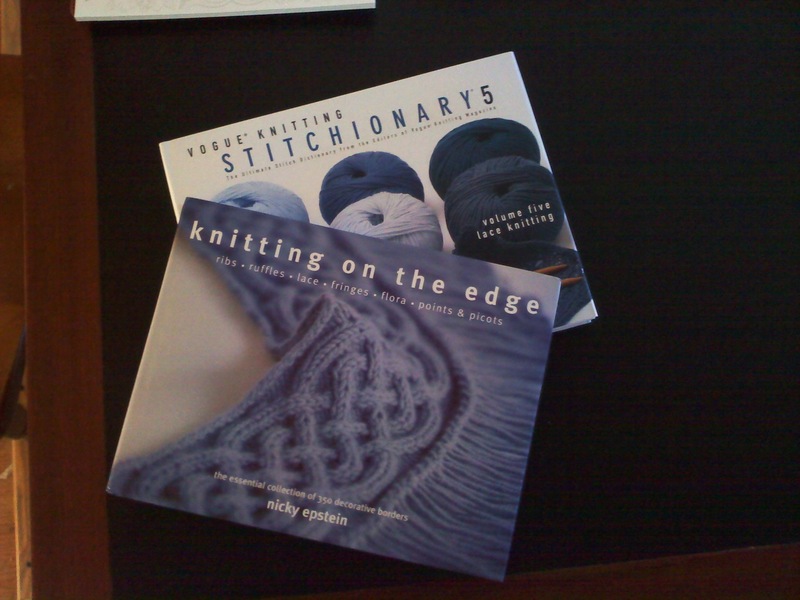 Knitting on the Edge is a great book — so inspiring.